Our private tour guide will wait for you at the arrivals in time, a comfortable vehicle with an experienced driver will drive 1 hour to Mutianyu Great Wall, one of the most famous part but less crowded than others and popular for its beautiful surroundings. Stay there for about 2 hours and Cable car up and toboggan slide down is optional. 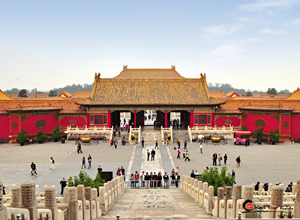 After that, move to Forbidden City, the imperial palace for twenty-four emperors during the Ming and Qing dynasties. Return to the airport after the tour.